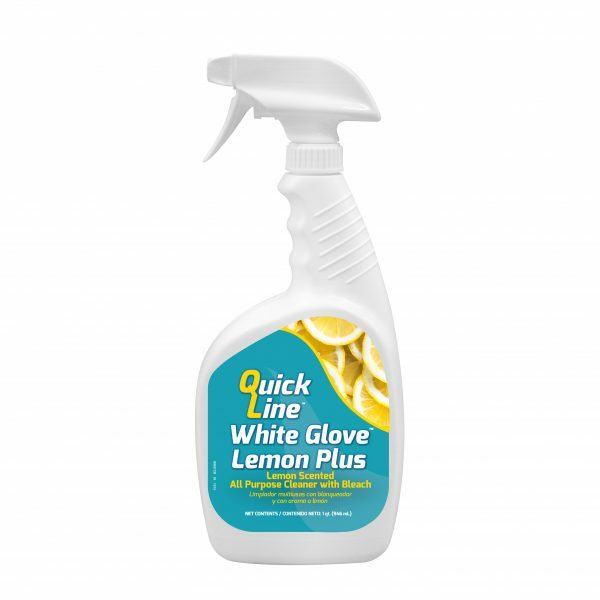 Quickline™ White Glove™ Lemon Plus is a quick spray-and-wipe cleaner, backed by the cleaning confidence of bleach. It cuts through a wide range of soils, leaving surfaces clean and streak-free. Ideal for use on most hard, non-porous surfaces such as countertops and equipment.